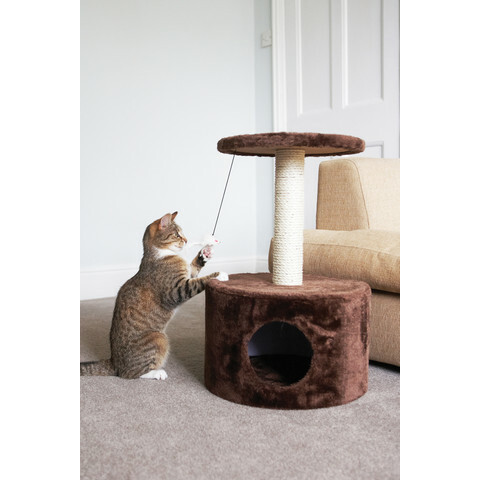 The Ancol Acticat Hide Out Deluxe Cat Scratching Post is a great activity centre for all cats. 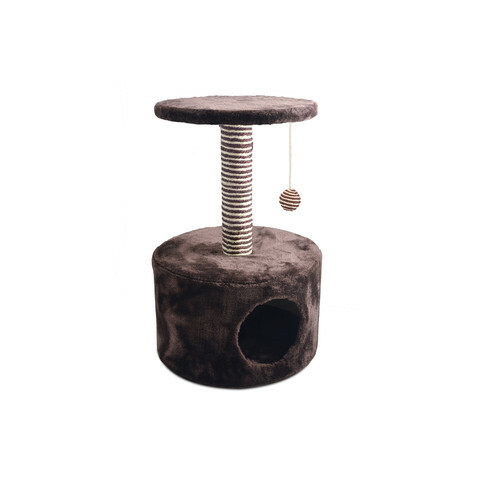 Combining a comfy resting platform, a sturdy scratching post, a fun ball toy and a snuggly cave bed, this top quality cat activity centre will give your kitty hours of entertainment as well as a cosy snooze space. 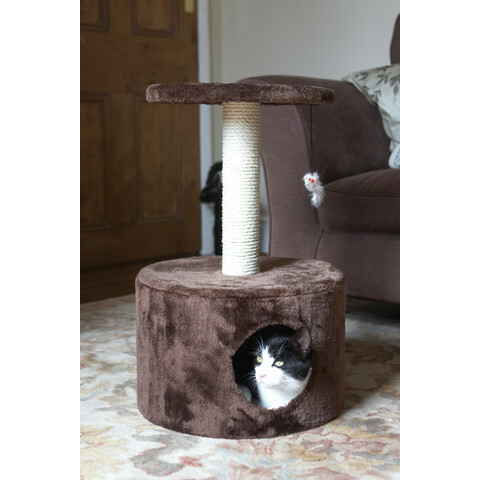 The cave bed and the top platform are covered in chocolate plush while the scratching post is attractively wrapped in alternating chocolate and natural sisal, which helps to keep claws in tip top condition. 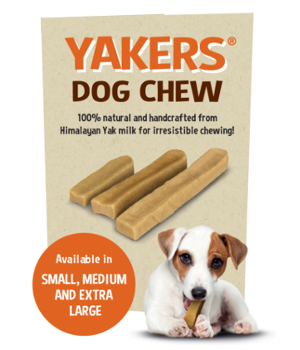 Bed is approximately 39cm across and total height of the unit is approximately 60cm. 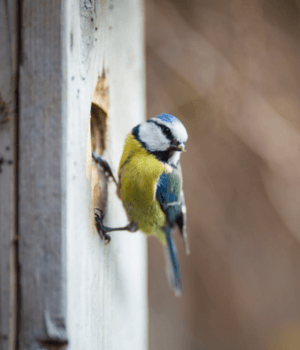 Introducing a cat scratcher or activity centre to your home will allow cats to exercise, scratch, rest and play as they would in the wild by encouraging natural feline behaviour such as scratching, climbing and sleeping above ground level. 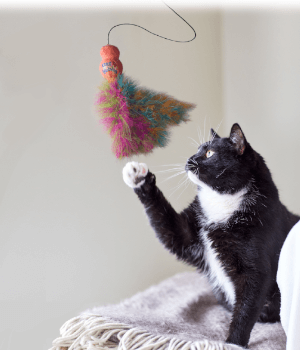 Scratching has several functions – one of the most important being to keep a cat’s hunting weapons sharp. Scratching also leaves scent marks in a territory. 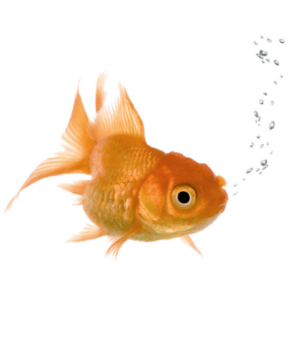 Secretions of watery sweat from between the cat’s pads leave a scent message in addition to the physical marks. 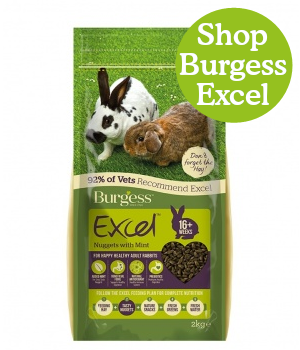 A spray or sprinkle of cat nip can also help entice your cat to their new scratcher!